A Whittier man who allegedly crashed a stolen car into the front of a fitness center in La Mirada that had reportedly canceled his membership was charged Thursday with five felony counts, including attempted murder. Sergio Gabriel Reyes, 32, pleaded not guilty Thursday in a Downey courtroom on one count each of attempted murder, assault with a deadly weapon and driving or taking a vehicle without consent and two counts of vandalism with over $400 in damage, according to the Los Angeles County District Attorney's Office. The crash occurred about 1:45 a.m. Tuesday at Crunch Fitness, in the 12800 block of Valley View Avenue, according to the Los Angeles County Sheriff's Department. The gym was open at the time of the crash. 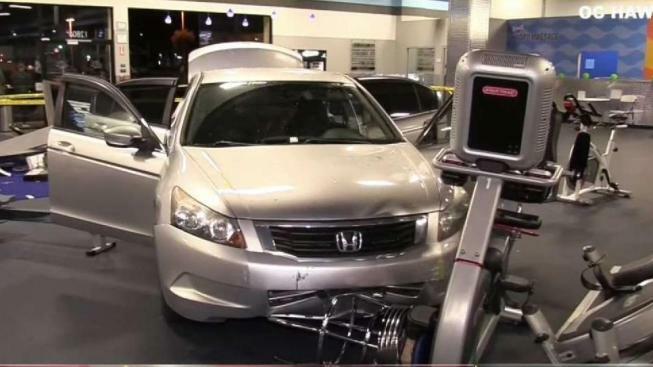 A man allegedly crashed a stolen car into a gym in La Mirada after losing his membership due to harassment. Kim Tobin reports for NBC4 News at 6 p.m. on Mar. 19, 2019. 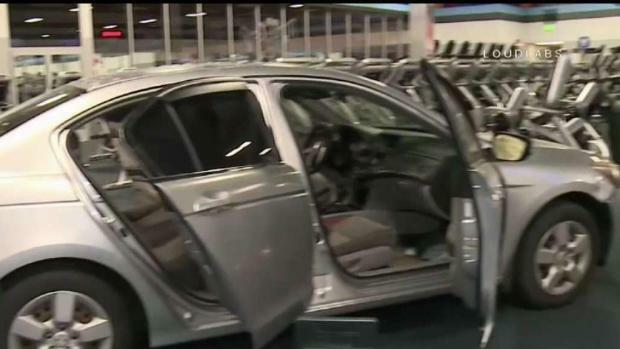 The passenger in the getaway vehicle -- who allegedly had crashed the stolen car into the gym -- was identified as Reyes. He was arrested shortly after 3 a.m. Tuesday and has remained jailed since then in lieu of $1 million bail, according to jail records. The car that had crashed through the fitness club had been stolen in Whittier a few days earlier, authorities said. The getaway car in which Reyes was riding was registered to him, the sheriff's department reported. "It appears that suspect Reyes was a disgruntled former member of the fitness club,'' the sheriff's statement said. Workers at the gym told NBC4 that Reyes' membership had been canceled after complaints that he was allegedly harassing women. They also said he was trying to get his $70 enrollment fee back and allegedly threatened to fight an employee.